Program Description: The graduate program in Sociology at MSU is one of the largest Sociology graduate programs in the Southeast. In its 50 year history it has awarded over 100 Ph.Ds. Our Ph.D. students have been placed in many fine colleges and institutions. Our graduate students are very active professionally publishing in peer review journals and presenting at professional meetings while consistently garnering awards for outstanding papers in these meetings. The department's affiliation with the Social Science Research Center on the MSU campus affords students many research opportunities and professional connections. The department has traditionally strong programs in Rural Sociology, Criminology, Demography, and Family. 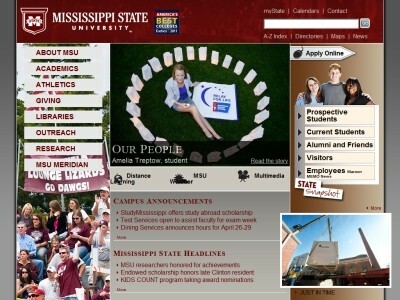 Location & access map for "Mississippi State University"